With the new marijuana laws in California taking effect, they instruct all MAUCRSA licensees to have operating procedures included as a part of their license application. Filling out the marijuana license application is the easy part, but a real good Operating Procedure will help in getting your marijuana license approved. To improve the chances of having your license approved, you should have all these forms ready before submitting your license. If you don’t have these forms ready then your application will be pushed to the bottom or not get approved. Get a jump start on the all the required paperwork. Put yourself ahead of the curve and position yourself for success and get the required documents ready for the Bureau of Cannabis Control. 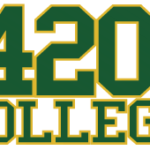 420 College has created its very own MAUCRSA licensee Operating Procedure Package with your needs in mind. Our marijuana license application preparation services, offer peace of mind in knowing that you have all the specific documentation prepared on your behalf at an affordable price by professionals that will give you the best chance to get your application approved. And just about everything else the Bureau of Cannabis Control of Consumer Affairs will ask for. 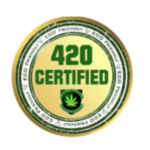 Let 420 College’s team of cannabis industry professionals go to work for you and help you get your MAUCRSA cannabis license application approved! It is absolutely mandatory that you have all the correct paperwork and information before submitting the application for your marijuana business in California.